Dr. Sahaz Khoubnazar is a native of Los Angeles, and she is a cosmetic and general dentist who has been serving the Santa Monica community and surrounding areas since 2002. She received her Bachelor of Science degree from the University of California, Irvine. Her dental education was completed at Temple University School of Dentistry in Philadelphia, PA, where she graduated top of her class. Dr. Khoubnazar has kept on top of the most recent advances in dentistry. She regularly attends continuing education courses and constantly strives to provide the best treatment. She is known for her gentle hands, friendly demeanor, and caring approach. Her exceptional knowledge in restorative dentistry lends her to diagnose and treat complex cases, including incorporating Invisalign® braces, veneers, implants, and more in order to achieve optimal treatment success. During her time off, Dr. Khoubnazar enjoys hiking, traveling, reading mystery novels, and spending time with family and friends. The Artistic Center for Dentistry is one of Southern California's premiere dental practices, committed to offering patients throughout the Santa Monica area with the most advanced dental care based on individual patient needs and aimed at achieving optimal results. The Center's highly-skilled dental staff provides a wide array of dental care services, from routine checkups and preventive care to more advanced and complex restorations and cosmetic services like root canals, veneers, tooth whitening and the popular Invisalign orthodontic system. The Artistic Center for Dentistry prides itself on its high standards of care and individualized attention, and never relies on one-size-fits-all, “cookie-cutter” solutions. Each dentist and hygienist understands that every patient has individual needs and goals, and treatment plans are custom-tailored to meet those unique goals for the most satisfactory results possible. Plus, all treatments are performed by caring and compassionate professionals committed to helping patients feel relaxed and at ease every step of the way. Skilled in all areas of dental care, the Center's staff focuses on proactive, preventive care aimed at identifying problems in their earliest stages when treatment is much simpler and far less costly. Regular checkups include thorough evaluations of the teeth, gums and other soft tissues of the mouth, as well as an evaluation of bite mechanics and alignment to uncover issues no matter where they occur. Plus, the Center's dentists and hygienists are dedicated to providing patients with the education they need to make informed decisions about their care, as well as guidance that can help them keep their teeth and gums healthy between office visits. Conveniently located on Sixth Street in downtown Santa Monica, the Artistic Center for Dentistry features state-of-the-art equipment and technology in a comfortable setting designed for patient comfort. The office accepts most major insurance plans as well as CareCredit, and the office staff is always on hand to help you identify financing options as needed so you can enjoy the best oral health possible without straining your finances. Call to day to schedule a consultation and learn more. Keiona was born and raised in Los Angeles. She attended Los Angeles Trade Technical college, and started her career in the medical field as a Vocational Nurse. She has been a professional in the dental field for over 22 years. Keiona has a great understanding of dental benefits and treatment planning. She takes the time necessary to explain treatment, maximize benefits, and answer any questions patients may have. She takes a personal interest in every patient, and is committed to helping each person’s smile be one of their best assets. Keiona is a proud mother of one daughter and two step sons, and is very happy to now be a grandmother as well. In her free time, Keiona enjoys roller skating, music, plays, movies and spending time with family and friends at the beach. Alana has been in the dental field since 2003. She began her dental career as a Registered Dental Assistant prior to receiving her degree in Dental Hygiene from West Los Angeles College in Culver City. Alana is passionate about healthcare and the importance of oral health and hygiene. She regularly attends continuing education events to stay current on new technologies and research. Alana is a great educator, and is able to provide her patients with an understanding of their oral health and its effect on overall health. She is thorough and gentle, and has a very friendly chairside manner. Alana also has an AA in Art Fashion Design. She enjoys sewing and costume design, outdoor activities, dancing and spending time with friends. Chantal has been in the dental field since 2005. She began her career as a dental assistant prior to receiving her Bachelors in Dental Hygiene from Loma Linda University in 2012. Chantal was awarded special commendation for exceptional professionalism at Loma Linda. She also conducted, wrote and presented research on the effect of Silver Nano Particles in periodontal diseases. She also has a Bachelor of Art from UCLA. Chantal is committed to providing the highest level of care, and to making sure her patients are well educated about their dental health. Chantal enjoys spending time with friends, reading and travelling. Sindy was born and raised in Guatemala, and came to the US when she was 16 years old. She attended the Dental Assisting program at the University of Southern California, and has been in the dental field since 2006. Sindy is certified in Radiation Safety and Techniques and Coronal Polishing. She has also attended specific courses for Invisalign training. She is exceptionally skilled at chairside assisting, and her calm and friendly demeanor helps to put patients at ease. Sindy has a daughter and a son, and enjoys her time being a mom everyday. Aside from spending time with her family, she enjoys cooking, playing basketball, movies, music and dancing. Dr. Lee grew up in Orange County. After completion of his Bachelor Degree (UCLA) and his Masters Degree (CSDH), he earned his Doctorate of Dental Surgery from Case Western University in Ohio in 2002. Dr. Lee completed his Internship in Oral & Maxillofacial Surgery at the Ohio State University Medical Center in 2011. He is certified by several internationally known implant systems such as Nobel Biocare & BioHorizon. Dr. Lee earned his Fellowship in Oral Surgery & Implant Placement from the Misch International Implant Institute, International Congress of Oral Implantologists. He is an active member of The International Congress of Oral Implantologists. The forms will download as a PDF. Print out the form, fill it out and bring it with you to your appointment. 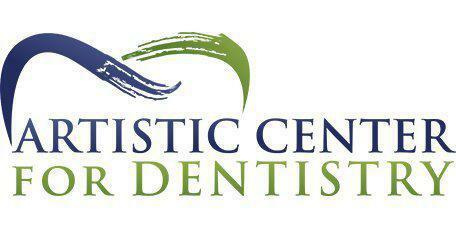 You may also fax the forms to (310) 393-2307 or email it to info@theartisticdentistry.com prior to your appointment.